Omotayo Bamidele Awojoyogbe, Department of Physics, Federal University of Technology, Minna, Niger State, Nigeria. Abhishek Gupta, Nanoscale Organisation and Dynamics Group, School of Science and Health, University of Western Sydney, Australia. Timothy Stait-Gardner, Nanoscale Organisation and Dynamics Group, School of Science and Health, University of Western Sydney, Australia. Bahman Ghadirian, Nanoscale Organisation and Dynamics Group, School of Science and Health, University of Western Sydney, Australia. William S. Price, Nanoscale Organisation and Dynamics Group, School of Science and Health, University of Western Sydney, Australia. Michael Oluwaseun Dada, Department of Physics, Federal University of Technology, Minna, Niger State, Nigeria. There can be few better examples of the complex and unanticipated interactions of basic research and technological innovation than the development of magnetic resonance imaging (NMR/MRI) techniques for multidisciplinary research. The method has the rather unusual and attractive features that it is totally non-destructive and non-invasive and for these reasons it has interesting applications in almost all fields of research. An ideal approach to exhaust the complex and unanticipated interactions of basic research and technological innovation offered by magnetic resonance techniques would be to find generalized ( time dependent and time independent) analytical solutions and models to the Bloch NMR equations. The advantages of such solutions are related to the fact that the magnetizations and signals obtainable from them may constitute an array of parameters that are uniquely informative for functional and dynamical studies of living and nonliving matters. Unfortunately, the basic physics of extracting the relevant information from the solution of Bloch NMR equations to accurately understand the theory, dynamics and applications of magnetic resonance imaging (MRI) is still not yet fully available. Additionally, it may be noteworthy to mention that, analytical solutions to the Bloch NMR flow equations have deliberately, perhaps unintentionally been omitted in the literature. Presently, there are no simple closed solutions known to the Bloch NMR flow equations for a general radiofrequency (rF) excitation. Therefore the Mathematical formulations and models based on the Bloch NMR flow equations presented in this book can be taken as definitions of new functions to be studied in detail. 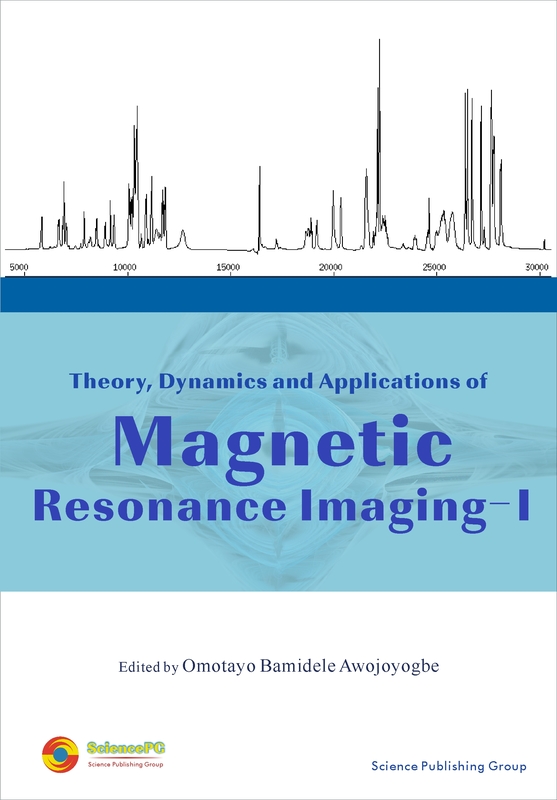 Volume I of this book is intended to present basic theory of MRI and develop several fundamental equations which can be invaluable for quantitative and qualitative analysis of NMR magnetizations and signals. Fortunately, analytical solutions to these equations are available in standard Mathematics, Physics, Chemistry and Engineering textbooks. These solutions can then be used to reveal without too much difficulty many of the most important but hidden applications of magnetic resonance imaging. Volume I is intentionally divided into only two chapters to focus the minds of our readers on the array of MRI innovations expected in Volume II.